Grafton Childcare was set up in 1991 by Denise Tupman. who has owned and managed it ever since. Denise is Level 3 qualified, our settings Safeguarding Officer, one of our 1st Aiders and one of Grafton's Fire Warden's. In Denise's spare time she enjoys sitting down with a good historical novel. Walking one of her three miniture Dachshunds Schnitzel von Krumm, Strudel von Hund and Pretzel von Biscuit, Dyeing her hair various shades of purple and wearing silly dangly earrings and oh and being Grandmother to William who is three and Albert who is three months old. But we have a small but perfectly formed team here at Grafton Childcare and below you will meet the rest of us! We are very proud of the fact that ALL of our Nursery Nurses hold a minimum of a Level 3 certificate in Early Years or it's equivalent and each also holds a full Paediatric First Aid for Child Care Practitioners certificate, which exceeds the minimum requirements required by OFSTED. Phil Tupman – Denise’s long suffering husband for the past 31 years and Daddy to their adult four sons, Matt, Chris and Jonty and one teenage son Andy and Granddad to William and Albert. Phil is Grafton’s Cook, Caretaker and head of transport, since Denise does not drive, although she does own a rather fetching Lilac Morris Traveller Estate which you may see Phil and her driving around in. Not only does he cook all of the meals freshly each day for the nursery he also cooks for the Tupman family daily as well. When he’s not cooking for us, he can often be found with a drill or screwdriver in hand repairing or mending something for Denise, from one of her very many lists stuck on the Fridge! In his spare time Phil enjoys looking after his avery full of Finches and Canaries and taking our Miniature Dachshunds Schnitzel von Krumm, Strudel von Hund and Pretzel von Biscuit for long walks, although they never seem long enough to wear them out! Chris Tupman – always has a smile on his face and joined the family firm in October 2006, he gained his Level 3 Diploma in 2012 and works mostly with the over two’s or wherever his many talents are needed. Chris is also one of our 1st Aiders. In his spare time Chris enjoys off road cycling and restoring a vintage Mini Clubman Estate. Jade Lofthouse – Is our Senior Nursery Nurse with our Under 2's. She came to Grafton as a student as part of her work placement from Newton Abbot College way back in September 2010 and has never left. She completed her level 2 in Childcare with us as a student and then stayed on as an Apprentice to complete her level 3 in Childcare. She now works full-time as one of our Senior Nursery Nurses and part of our under 2’s team. She’s fantastic with the little ones and has a lovely caring gentle nature, just what you need with the tiddlers. Jade is now Level 3 & 4 qualified and embarking on her Level 5. Jade is our Mathematics Developmental Coordinator across the whole of Grafton Childcare and is one of our 1st Aiders. All of Jade's spare time is taken up with her Open University studies for her Foundation Degree in Early Years. Lara Rowe – joined Grafton in September 2011 as a level 3 Apprentice having completed her level 2 in Childcare the previous year at Newton Abbot College with her buddy Jade. 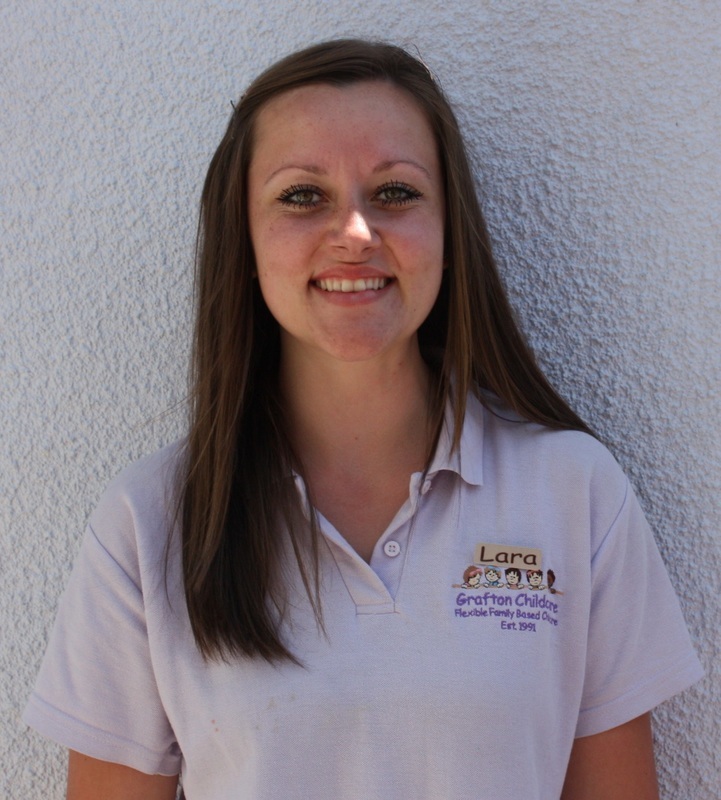 Lara now works for Grafton full-time and is our Senior Nursery Nurse with our 3 & 4 Year olds and our setting SENCO, she has a lovely gentle nurturing nature and is a brilliant addition to the team here at Grafton. Lara is Level 3 & 5 qualified. Lara is our Communication, Language and Literacy Developmental Coordinator across the whole of Grafton Childcare and is one of our 1st Aiders. All of Lara's spare time is taken up looking after her pet Pug. Zoe Northcott – joined Grafton from Teignmouth Community College in August 2012 as our Level 2 Apprentice in Childcare, it has been delightful watching Zoe grow and gain in confidence and experience she completed her level 3 Diploma here at Grafton Childcare in record time. Zoe is lovely, both gentle, caring and very artistic just the qualities we were looking for to join our under 2’s team here at Grafton. 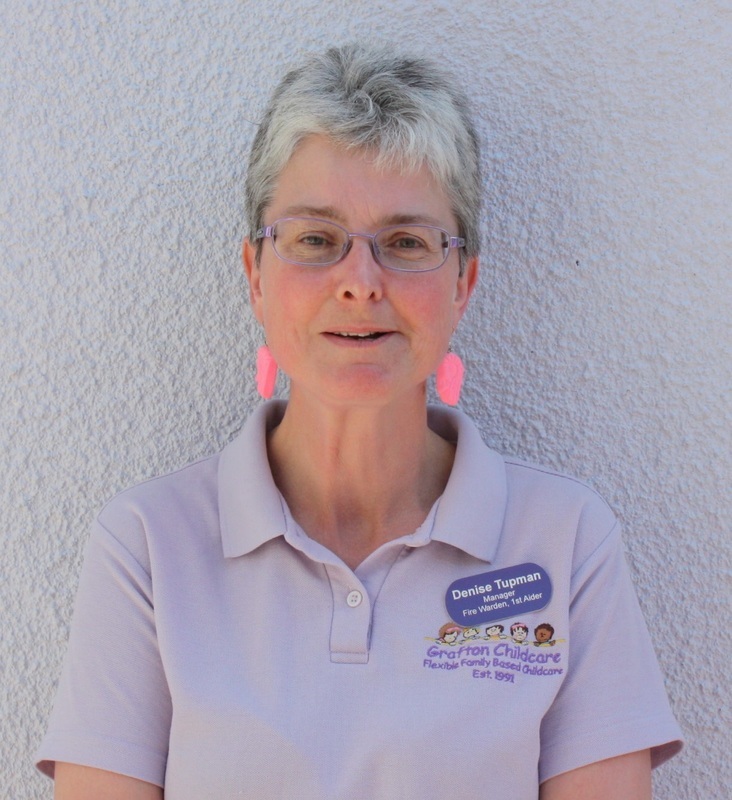 Zoe is our Physical Developmental Coordinator across the whole of Grafton Childcare and is one of our 1st Aiders. Gary Staton – joined the team in March 2015 from Mayfield School in Torquay. He gained his NVQ2's in both Childcare and Playwork in 2013 and then went on to gain his Level 3 in 2015 and joins us with a wealth of experience and knowledge. Gary works with our over 2’s and is one of our 1st Aiders and one of our Fire Wardens. In his spare time Gary enjoys fishing around the coast of Torbay. 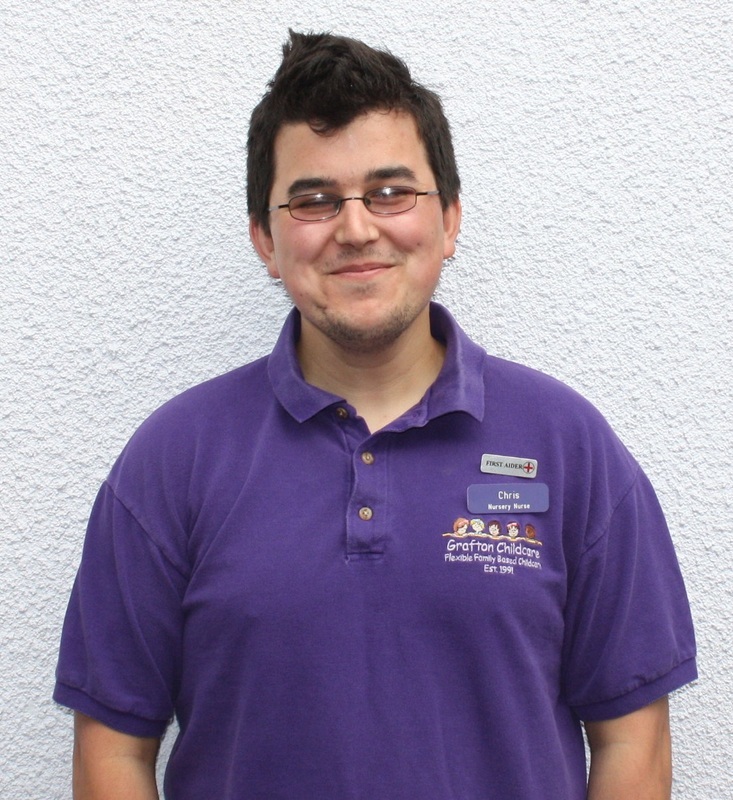 Jonty Tupman - joined Grafton in 2015 as a Trainee Nursery Assistant. He is currently studying and lends a very useful pair of hands when not studying when needed here at Grafton. Natasha Dempsey - joined the team in September 2016 from Puffins of Exeter. She gained her Level 3 Diploma in Child Care and Education in 2009 and has worked full-time with children for over nine years, so joins Grafton with a wealth of experiaince and some wonderful ideas. Katrina Bovey - joined the team in January 2017 from Buddies Preschool in Kingskerswel after it sadly closedl. She gained her NVQ Level 3 in Childcare, Learning and Development in 2011 and has worked full-time with children for over six years, so joins Grafton with a wealth of experiaince and some wonderful ideas. Katrina works with our under 3’s and is one of our 1st Aiders. ​She enjoys spending her spare time with her husband and two secondary school aged chidlren. 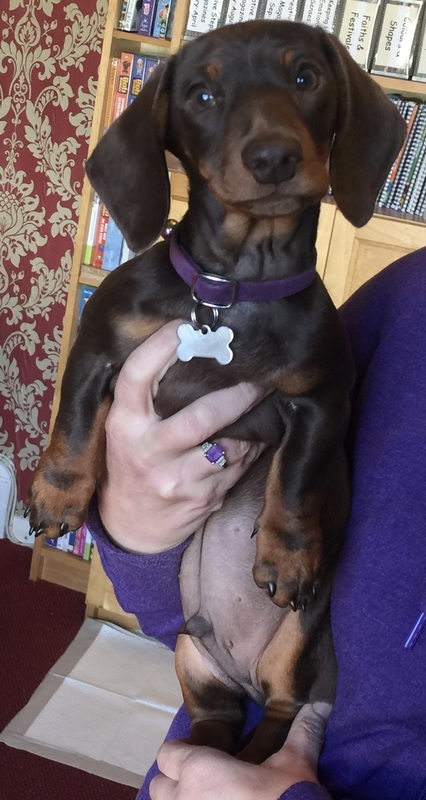 Schnitzel von Krumm - joined our staff team in September 2014, the photo was taken a few days before his 1st Birthday in June 2015, so as you can see he's a fine figure of a black and tan Smooth Haired Miniature Dachshund. 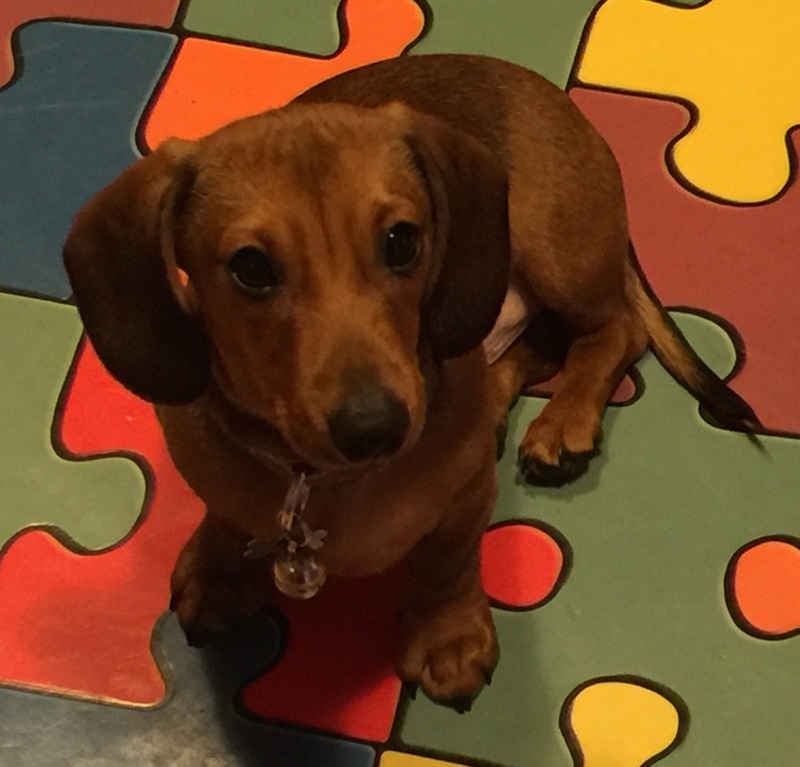 Strudel von Hund - joined us in November 2015, he's a beautiful shaded red Smooth Haired Miniature Dachshund. Pretzel von Biscuit - joined us in August 2016, he's a beautiful chocolate and tan, Smooth Haired Miniature Dachshund and he completes our Dachshund pack. Schnitzel, Strudel and Pretzel all live and work on the premises, they are in charge of night time security a position they take very very seriously they will sit at the lounge window of an evening watching the cars coming and going up and down and barking if they thinks they are going a bit fast or if they spot somebody on their mobile! Then once we are off to bed they are under the duvets as quick as a flash and will let us know when our neighbours and family arrive home for the evening and won't settle until all of the family are home and in bed. During the day they can be found either asleep in their gated Kennel area outside the kitchen or at the side of Phil or Denise as they are working. They love the children to bits and are always very interested to hear about their stories, they are such good listeners even if they have told them the same tale many times before. During their spare time they enjoy sleeping, long walks around Stover County Park and sleeping some more!